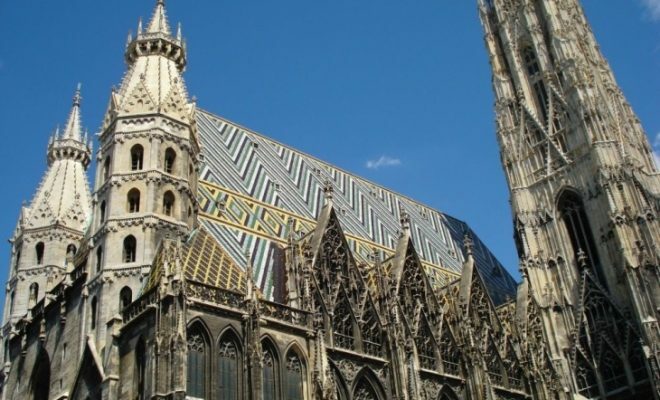 You’re probably reading this post because you have planned a visit to the capital city of Hungary, Budapest. If this is true, I am very jealous of you. I had the most amazing time and I am looking forward to the next time I get to go visit. Or, maybe you are in the early stages and you are contemplating the idea. In which case, don’t think any more about it. Head over to Skyscanner right now and book your flights. You won’t regret it, trust me. To help you get the most out of your visit, I have compiled a list of the sights that you must see. But hold onto your knickers because it’s a long list! Although in my defense, all the sights are within walking distance of each other – I know this because I have walked to them all. To help you plan your route, I have pinned all the stops from this list onto a handy Google Map for you. This should help you to work out what to see and when depending on where you are staying in Budapest. If you are a hostel lover like me (read – 5 Genuine Reasons Why You Should Stay in a Hostel and Not a Hotel) then I would urge you to check out the Budapest Bubble Hostel. It’s located right in the city center and, hand on heart, it’s one of the best hostels that I have ever stayed in. 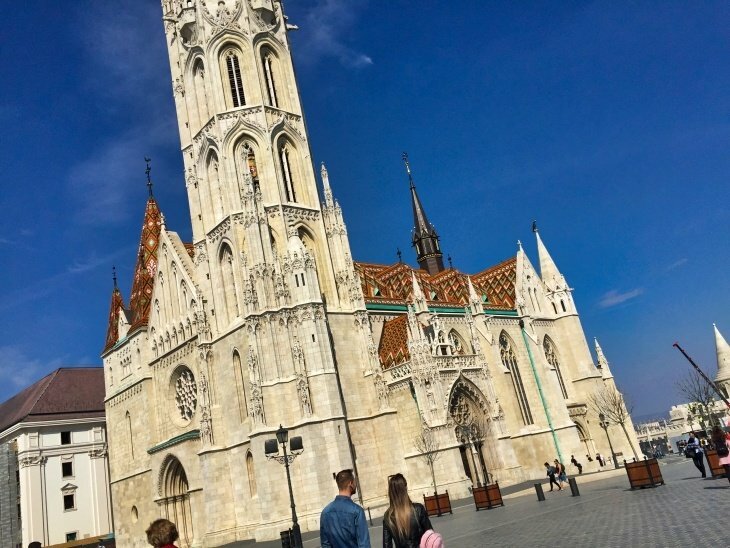 Now, are you ready for the 13 stops that you need to make when visiting Budapest? Awesome sauce! Let’s get going. 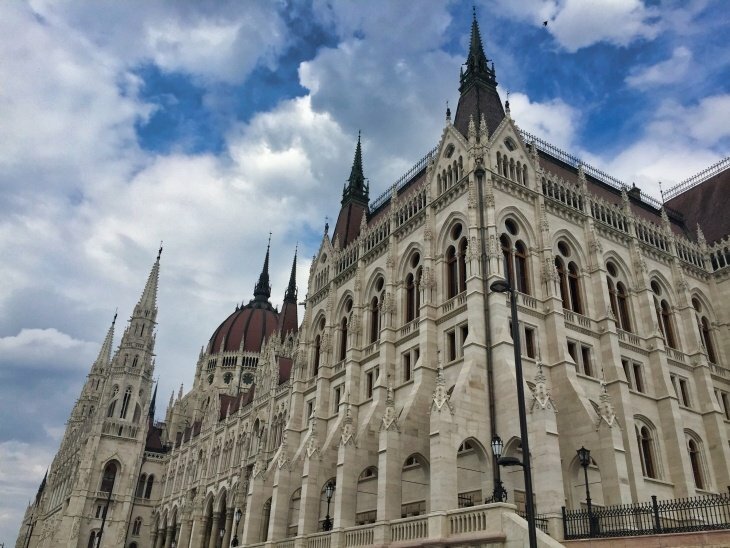 If you do a search on Google Images for ‘Budapest’, the image that you will probably see over and over again will be of their magnificent Parliament building. It’s one of Europe’s oldest legislative buildings – although I would have never guessed so just by looking at it. It is one of, if not, THE main landmark of Budapest and Hungary…and comes complete with a handy visitors center. There are a few bridges along the river Danube, but the Chain Bridge is special. It was the first permanent bridge in Hungary that connected the two cities of Buda and Pest. And at the time of its erection, it was an engineering wonder. I personally think that it is much more ornate compared to its sister bridges. I would highly recommend visiting the Chain Bridge in the daytime as well as walking across at night when it is lit up in all its glory. 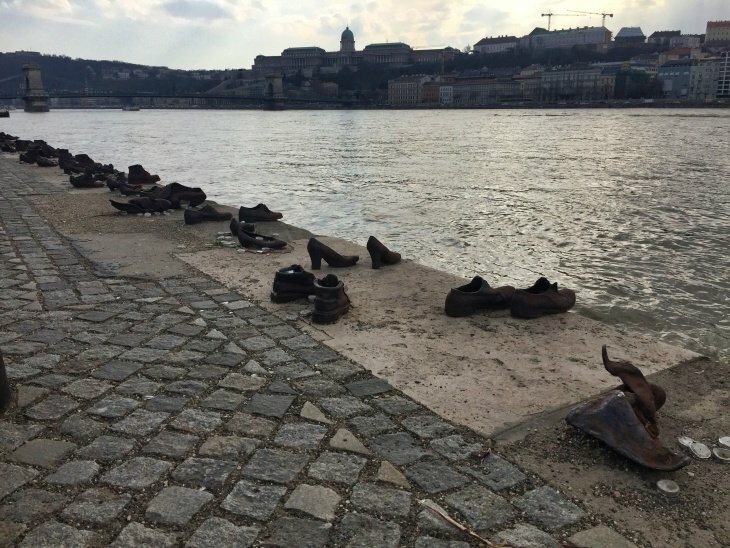 On the river banks between the Hungarian Parliament and the Chain Bridge lies a row of iron shoes. 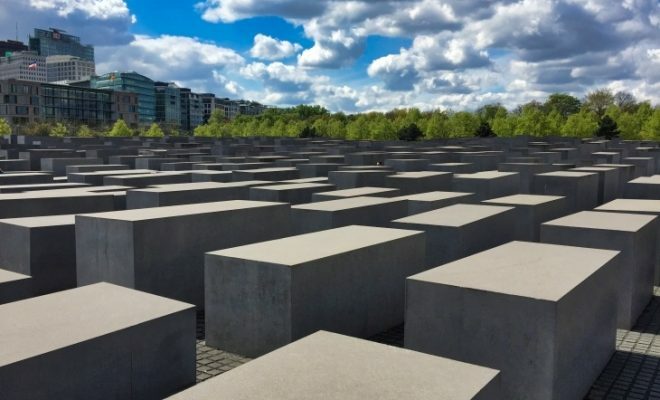 The memorial was created to honour the 3,500 people (800 of them Jews) who were killed in Budapest during World War II. They were ordered to take off their shoes, and they were lined up and shot at the edge of the water. Their bodies fell into the river and were carried away. We’ve all seen many memorials in different cities across the world that have been designed to honour those that have sadly lost their lives. But this one really got to me and I took some extra time whilst I was there. I sat on one of the nearby benches and watched people taking photographs and lighting candles. I had a bit of a moment remembering the past and thinking about today’s current world affairs. If you’re not afraid of a few steps (I use the word ‘few’ very lightly) and you love a good view, then this is a must-see for you. The Citadel was originally built as a fortress after the Hungarian Revolution, complete with 60 cannons. But now it is a lookout tower that offers the most incredible views of the whole city. I scaled the hill in the middle of the day to view the city from above. 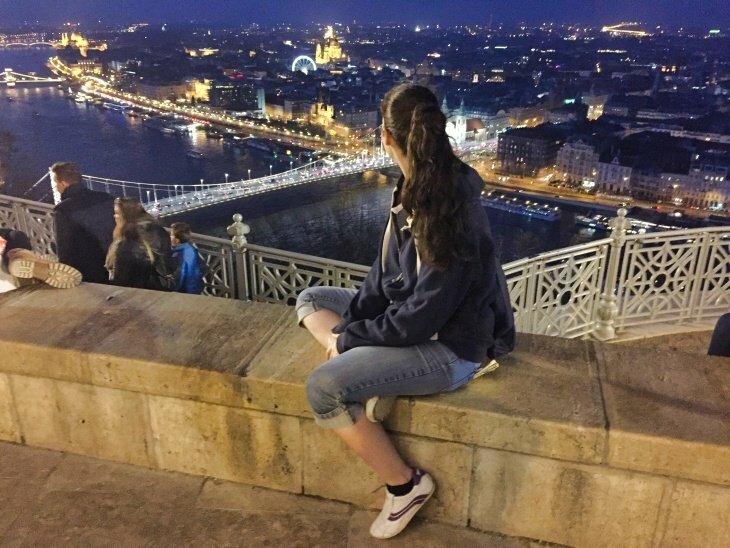 I also revisited it on my last night in Budapest – what better way to spend it than awing at the city lights below? 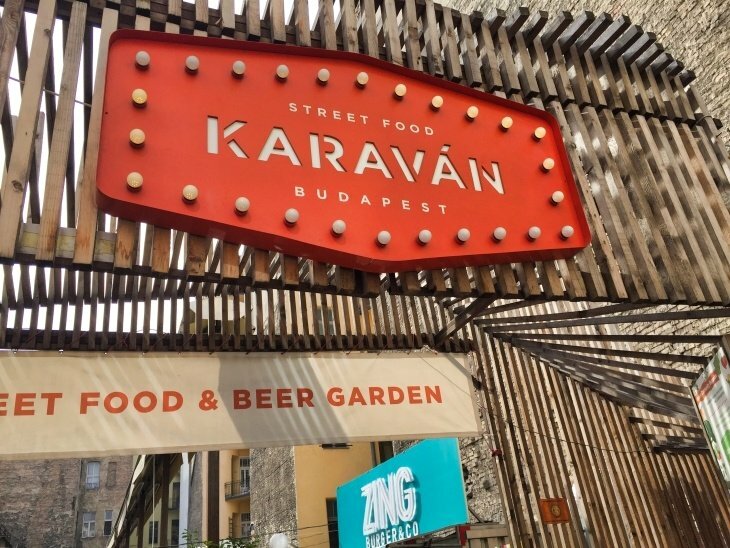 Hidden away amongst the streets of Budapest is a small street food market aptly called Karavan – because everything is served from small caravan-like food trucks. It has a range of top-notch burgers, Hungarian dished and comes complete with beer garden. A cool and hip place to spend your afternoon. Every great city comes complete with a castle, right? Buda Castle is on the southern tip of Castle Hill and it is huge! 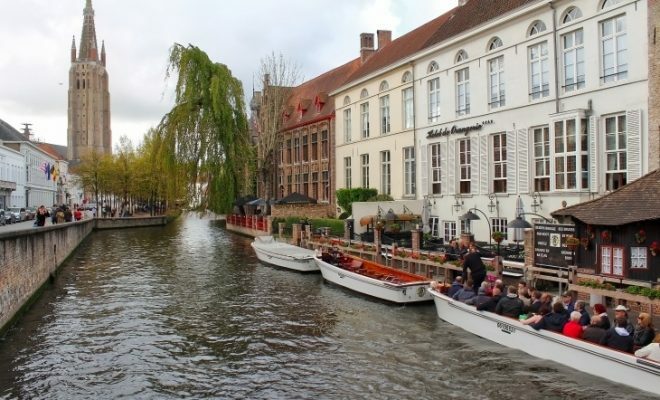 You could easily spend a whole day here exploring the grounds, admiring the city views, joining a castle tour, enjoy wine tasting in the cellar or enjoying one of their many annual festivals….not to mention its several museums! Think of this as very large and ornate viewing terrace. It has many stairs and walking paths with seven fairy-tale style towers. 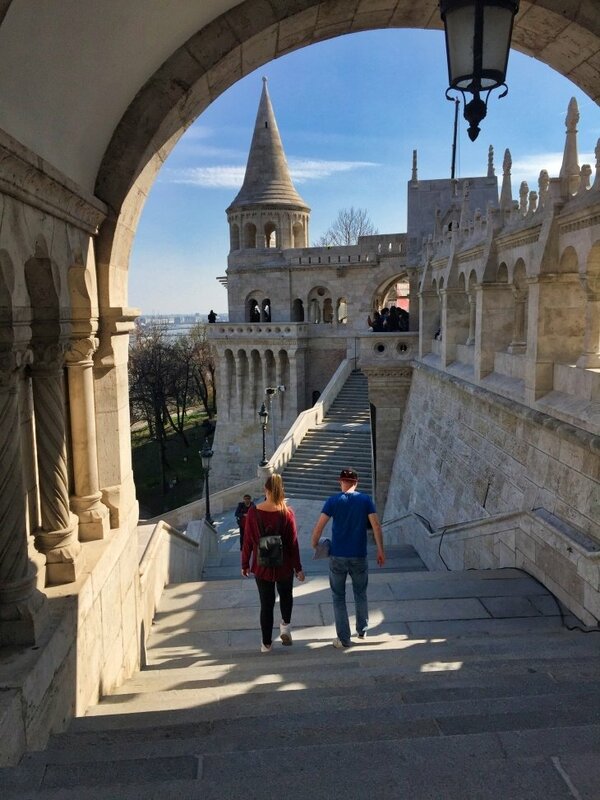 In the Middle Ages, this stretch of the city was defended by The Fisherman’s Guild, therefore it was called The Fisherman’s Bastion. 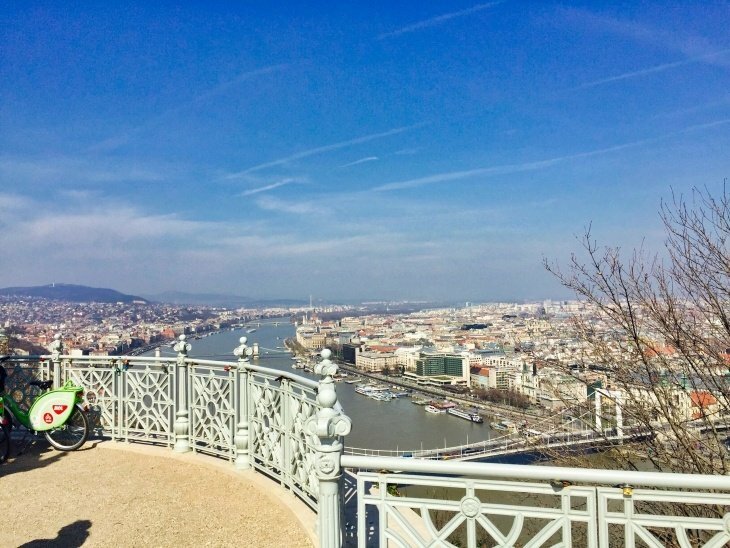 It comes complete with charming cafes within the structure that offer panoramic views of the river Danube, Parliament, Margaret Island, Pest and Gellert Hill. Sadly, I didn’t get to visit any of the Baths whilst I was in Budapest. My budget just couldn’t stretch to it (get the violin out). Although, from what I heard from my hostel friends, they are a must-visit. If you’ve got the extra pennies to spare, definitely add them to your list. They are dotted all over the city and there are both indoor and outdoor baths. Oh also, before I forget, on certain nights the historic thermal baths of Budapest are transformed into amazing party venues! … which sounds like it could result in one of the best pool parties ever! The two thermal baths that I have located on the Google Map above are Széchenyi Thermal Baths and Gellért Thermal Baths. As the name says on the tin, this is a huge indoor market hall for traders that are selling grocery produce and souvenirs. This probably won’t be that exciting to everyone, but if you fancy a bit of local food shopping then this is your place to go. This is one huge memorial. It was very difficult to get it all in one picture. There are many parts to this memorial. As you approach you will first notice a tomb-like box surrounded by chains. This is dedicated “To the memory of the heroes who gave their lives for the freedom of our people and our national independence.”. Secondly, you’ll notice an incredibly high column topped with a statue of the Archangel Gabriel. At the base are seven mounted figures that all played a part in Hungarian history. Thirdly, the whole square is surrounded on one-half by two curved column walls. Each wall contains seven figures separating the columns, again, representing important people from the past. Finally, on top of the arches are four statues which represent labour and wealth, war, knowledge and glory, and peace. I only just managed to visit Margaret Island on my last day in Budapest. It’s a small piece of land that floats in the middle of the river Danube. At my time of visiting there was a lot of construction going on, but the park was still full of walkers, joggers, dogs and those just chilling on the grass or having a picnic. I felt like Margaret Island was to Budapest, what Central Park is to New York. It was a nice large leafy green space in the middle of the city (or in this case, in the middle of the river). I stumbled upon this little gem by accident. I couldn’t miss it because of its beautifully tiled colourful roof. During World War II it was used as a camp by the Germans and was badly damaged. Since then it has undergone a thorough renovation and has been fully restored. It stands right near the Fisherman’s Bastion and is an unmissable sight. One of those places where you contemplate how much it would cost to live there whilst you are walking around. It’s one of the most romantic castles in Budapest and it is located right next to a boating lake – sounds idyllic, doesn’t it? It is home to several festivals and concerts throughout the year and it even has its own museum! I could keep going, but I’m sure that is enough to get you off to a flying start when visiting this European city. 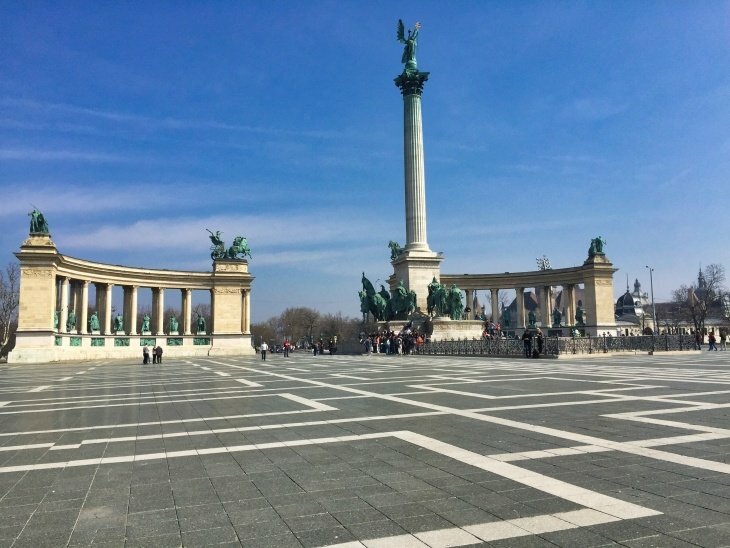 Here are some related reads and a video from my time in Budapest. Well written blog! Thanks for sharing amazing stuff.